There is a driveway leading up to the front of the property with parking for approximately 4 cars. Lawned garden. Oil tank. 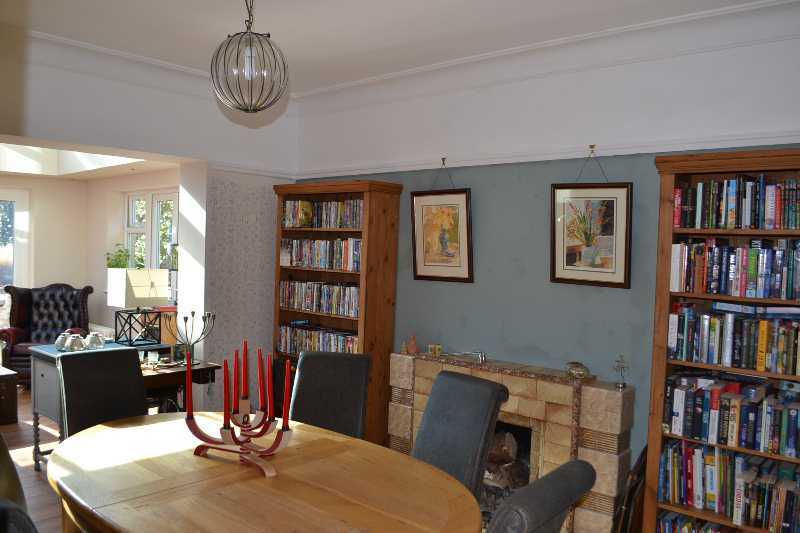 Good size mature rear gardens, principally laid to lawn with generous paved patio area. Hedges, trees and shrubs. Garden shed (16'4" x 9'10" approx). DIRECTIONS TO PROPERTY: The property is approached by turning right at Quarterbridge roundabout onto Quarterbridge Road. Take the second turning on the right hand side into Alexander Drive. Continue up this road where the property can be found on the right hand side, approximately 100 yards up. 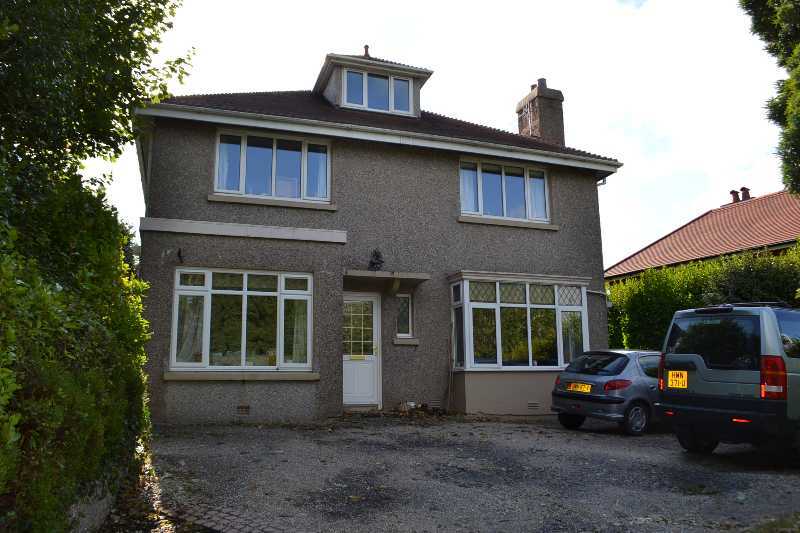 Within easy walking distance of all local amenities. RECEPTION HALL Stairs leading off. Exposed Oak stripped flooring. SHOWER ROOM Suite comprising separate shower cubicle, wash hand basin set on a wooden stand and WC. Down lighters. Amtico Oak stripped flooring. STUDY (12'7" x 8'6" approx) Oak stripped flooring. LOUNGE (16'4" x 13'4" approx) Open grate tiled fireplace. Bay window. Oak stripped flooring. DINING ROOM (13'10" x 12'5" approx) Open grate tiled fireplace. Oak stripped flooring. 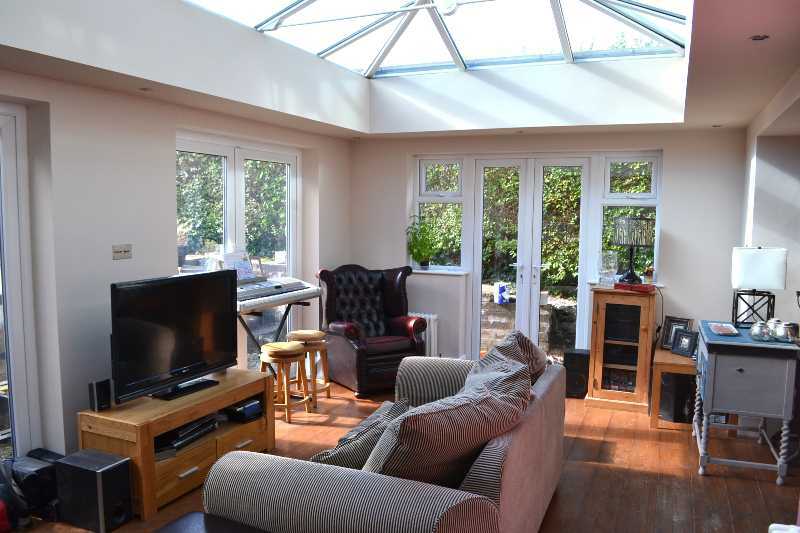 ORANGERY/CONSERVATORY (19'2" x 11'9" approx) 3 double uPVC doors leading to the rear garden. FITTED BREAKFAST KITCHEN (16'3" x 10'0" approx) Oak fitted base and wall units with worktops incorporating a 1½ bowl single drainer stainless steel sink unit. Glazed display units. Kensington Range with 7-ring gas hob, 2 ovens and extractor hood over. Down lighters. Tiled flooring. PANTRY OFF. UTILITY ROOM (8'0" x 7'4" approx) Sink unit. Plumbing for an automatic washing machine. Oil fired central heating boiler and Megaflow hot water tank. Tiled flooring. Door to side. BEDROOM 1 (15'3" x 12'11" approx) Down lighters. Exposed stripped wood flooring. BEDROOM 2 (13'10" x 13'6" approx) Down lighters. Exposed stripped wood flooring. FAMILY BATHROOM (10'0" x 9'7" approx) White suite comprising freestanding bath, separate shower cubicle, 2 vanity wash hand basins and WC. Half tiled walls. Chrome heated towel rail. Tiled flooring with under floor heating. BEDROOM 4 (15'10" x 8'8" approx) Down lighters. Oak stripped wood flooring. 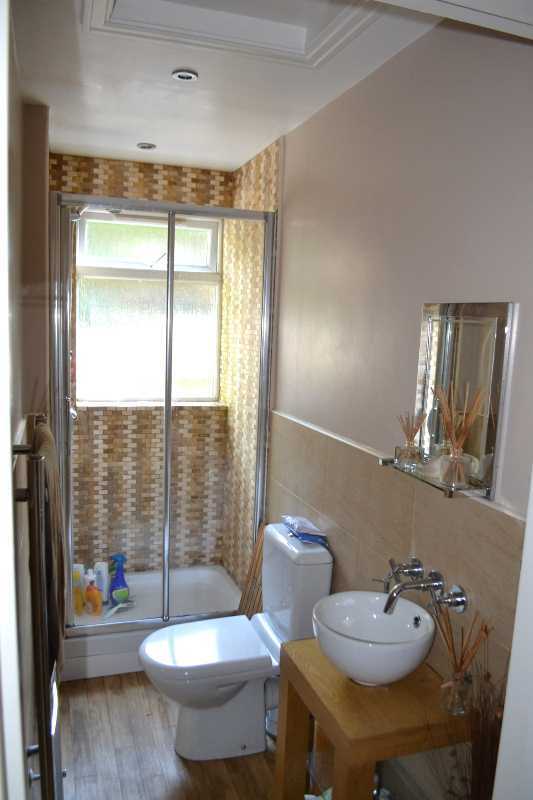 EN-SUITE SHOWER ROOM (5'5" x 5'3" approx) White suite comprising separate shower cubicle, vanity wash hand basin and WC. Half tiled walls. Down lighters. Tiled flooring. BEDROOM 5 (14'7" x 14'5" approx) 2 storage cupboards. Beamed ceiling. Down lighters. Oak stripped flooring. EN-SUITE SHOWER ROOM (6'4" x 5'4" approx) White suite comprising separate shower cubicle, wash hand basin and WC. Down lighters. Extractor fan. Tiled flooring. 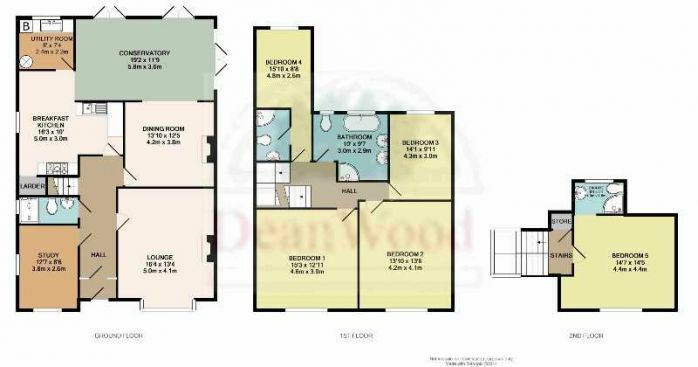 ASSESSMENT Rateable value £224 Approx Rates payable £738 (incl. of water rates).